Today I had the privelege of attending David Meerman Scott’s “Real Time” Seminar. One of the many great topics raised in my mind was that of eBooks. It got me thinking. And that got me hungry. But then I got thinking again .. 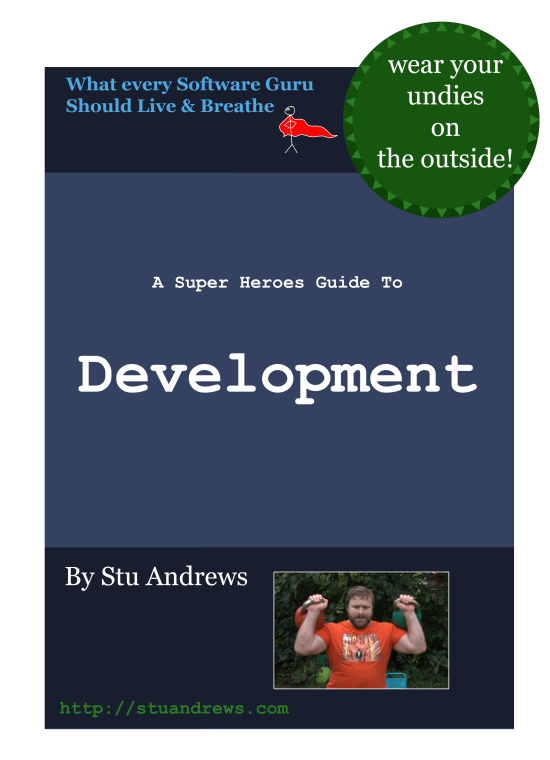 Here is a perfect opportunity to try out this “eBook” thing with the talk I’ve done a couple of times, “A Super Heroes Guide To Development”. I’ve also put a page up, under the “Books” menu item above.